. Maybe the watergate salad. And the corn pudding. I just partially bake the corn pudding and then finish it up while the turkey is 'breathing'. That will help immensely for for tomorrow's gathering. 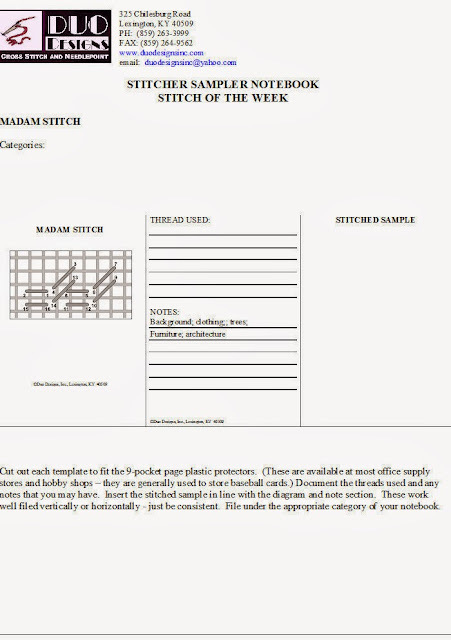 But this morning I will post the stitch of the week - Madam Stitch. 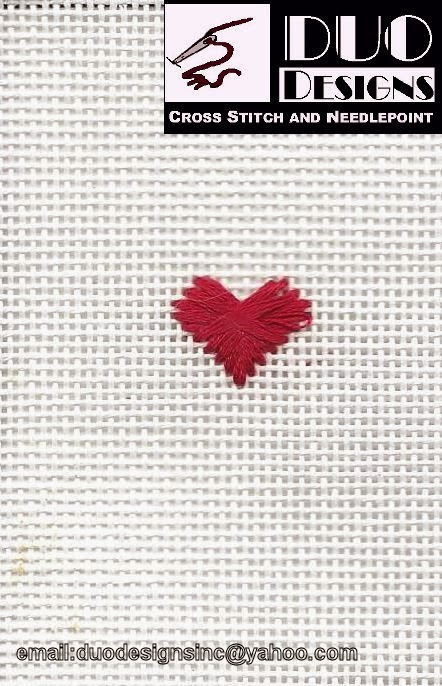 This stitch is shown diagrammed so many ways. But, this way works for me. Hope it works for you too. So stitch away. Me, I must get busy in the kitchen. I will admit - that is not my favorite place either. Have a wonderful holiday everyone and I hope you are surrounded by family and loved ones. Ours keeps getting smaller and smaller. First by passing family members and second by youngsters growing up and moving away and on. The number keeps getting fewer and fewer. Yet, we still have so much for which we are thankful and thank God everyday for our blessings! More and more of the shops I have contacted have been responding. Plans are beginning to fall into place. From these positive responses there is no reason that participants should not be able to get all the supplies they will need to complete this project. In February I will provide for you who do not have a LNS an option for getting the canvas and or stretcher bars. These are provided by a local shop. You may, of course, make other arrangements if you choose. We are just thinking of those who do not have the convenience of a LNS or do not want to be bothered. Okay, canvas and stretcher bars are taken care of. Next comes the first lesson. As I advised several days ago, I have been working with shops that I have taught at previously to see about having supplies for each of the months classes. After several discussions, I have decided that instead of kits, I will provide a list of the materials ahead of time to these shops and they will let me know if they have the materials or if they will be getting those supplies. Those that confirm that they have the supplies will then be added to a contact information list as a resource on the lesson list for those signed up for the class. That way the participants will always have an easily accessible resource for supplies. Of course, the class participants will be receiving the list of needed supplies for that lesson as well and will have the freedom to purchase the materials anywhere they choose. We just provide them with information of a resource that we know definitely has the materials. This list does not purport to be the only available resources that would have the supplies, but it is a mere representation of my personal knowledge of shops that would have the supplies. Each lesson will be $25 and that will be invoiced through PayPay a week before the lesson will be accessible. The lesson will consist of stitch diagrams,a list of thread selections and embellishments that are needed, and explanations of what is to be done for that portion of the design. 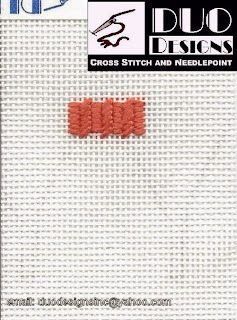 Then, I will basically walk the participants through the process of the lesson, discussing how the stitches are executed, and have additional photos that will not be in the stitch guide - sorta like being in a classroom. 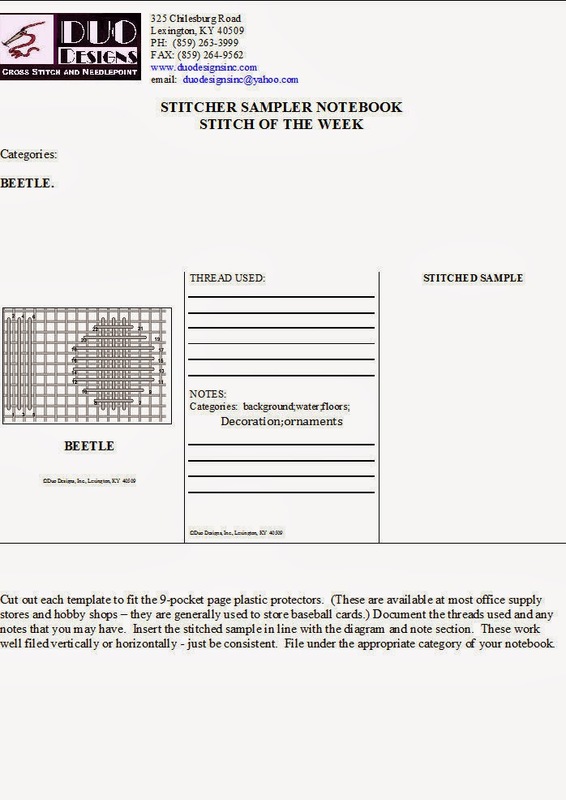 In other words, I will be teaching the techniques and providing a discussion forum for that portion of the stitch guide - as an expansion of the stitch guide. That section of the mystery will then be resolved. 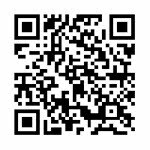 After each lesson is posted via e-mail, participants may contact me by e-mail for clarification or questions regarding any portion of that section of the mystery. I will be setting up an area such as a closed Yahoo group or Facebook group so that we may communicate back and forth and among the group. I haven't gotten that far yet in my planning. As I said earlier, this is a work in progress and until February it may be tweaked several times. Nothing major, just little things here and there. Your input is welcome as we go along and remember to email me at duodesignsinc@yahoo.com to indicate your interest in signing up for the Mystery or with any questions about the class. A week away from Thanksgiving. That seems so hard to believe. When that happens it will feel to me as if the rest of the year will be but a passing phase. It will just zoom by and we will be into 2014 before I know it! It is so frightening! But I will focus on the present and our new stitch for the week. 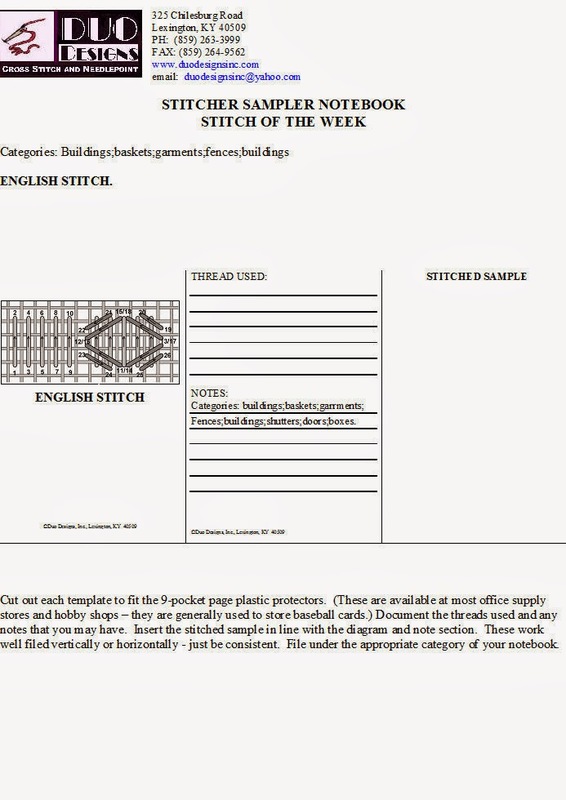 Today I am sharing the English stitch. I am not too familiar with this stitch. I don't see it around too much. 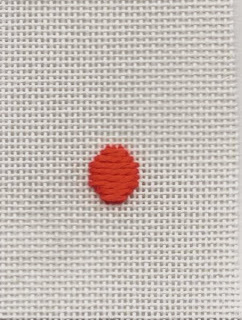 In a way it at first reminded me of a curtain stitch but not really. Anyway, here it is stitched. 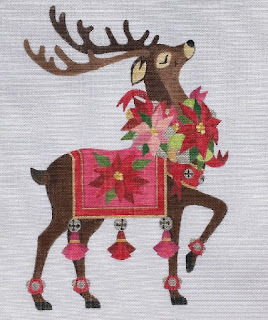 It starts with a base of upright Gobelin or satin stitches. Then it has a layer of slanted stitches - as is shown in the second picture. In the third picture, I stitched in a contrasting thread so you could see the stitches better. I think for practical purposes I would use this stitch in two colors or textures so that you could see the movement. Okay, there it is so play with it and post your results. Enjoy and stitch with a smile! 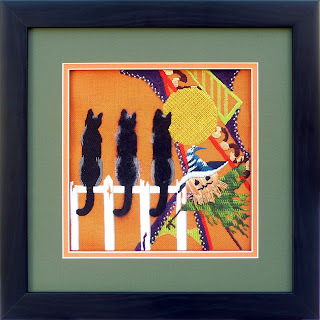 Leigh Designs Familiars Series 'Listeners' also involves Needle Felting. This one incorporates both wool roving by Clover Mfg. as well as silk roving from Painters Thread. AND it also has the new Silken Straw from The Needlepointer. A great opportunity to introduce your customers to several new products. How about that blingy rick rack? This cutie Brrr… can't help but bring a smile to your face. Doesn't he just 'melt' you away? 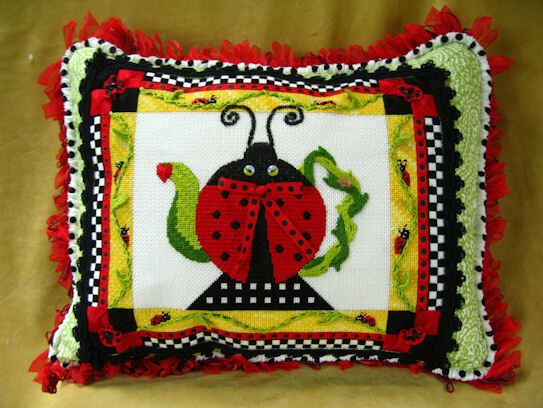 This relatively new designer Pepperberry has such cheerful designs and they are all a delight to stitch. 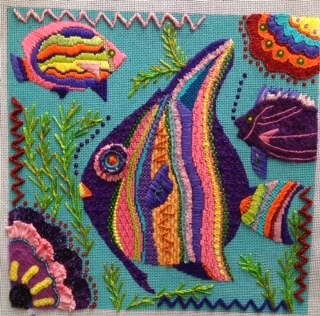 Techniques and embellishments from the collection and Sundance and threads from Rainbow Gallery, Kreinik, Pepper Pot Silk, Caron, etc., help this guy stitch up quickly. Color? Blossom Bay presented by Sundance Designs cannot be accused of being dull. Threads and embellishments abound in this design! Ribbons from River Silks, beads from Sundance , techniques, etc., they just go on and on. Your two days will definitely be jam packed on this one. It too, used both wool roving from Clover Mfg. and silk roving from Painters Thread in its needle felting techniques. Beads, sequins, ribbons, silks, ruching, twisted lazy daisies, buttonholes, jessica, rhodes, and much, much more. So many threads from Rainbow Gallery, Kreinik, Pepper Pot Silk, Vineyard Silk, DMC, and more. Check out some fun alternatives for you and your customers. Looking for something fresh and new to offer your customers for 2014? Well get on the needle felting bandwagon! It is such fun and offers a new technique, new tools and works up quickly. A popular canvas that is going well for shops currently is one by Brenda Stofft . 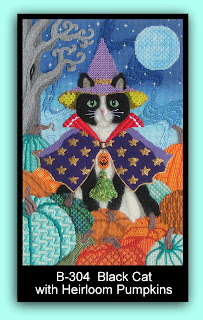 The Black Cat with Heirloom Pumpkins has been dubbed “Wizard of Paws” by me. This is a 2-day class and has lots to offer your customers. 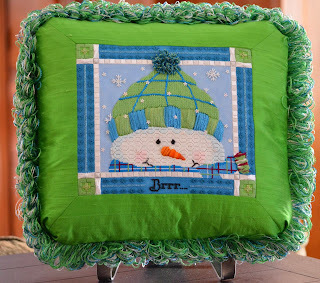 There are plenty of techniques to cover and many threads and embellishments for you to provide. After San Diego market two fun canvases by A Collection of Design can be presented as One-Day fares. Red Hot Momma has lots of bling through the addition of Swarovski Crystals from the collection, lots of Sundance beads, beading techniques, lots of threads from Rainbow Galleries, and on and on. Not to be outdone, what about Heloise Hoot. 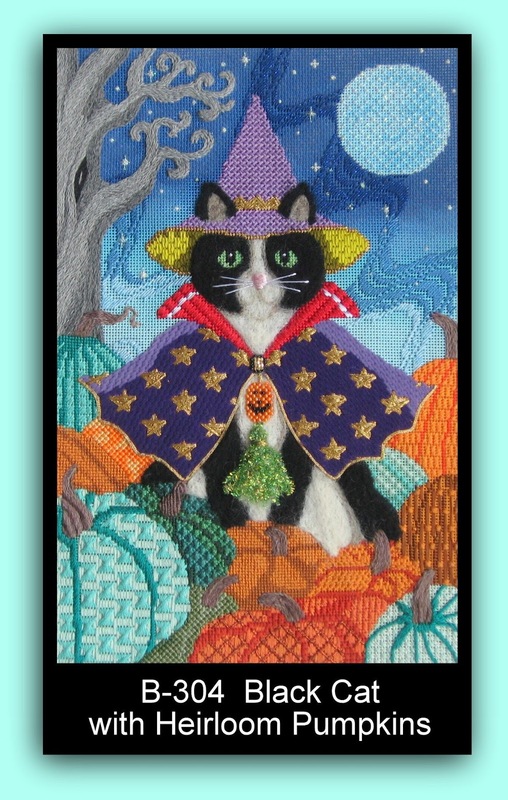 She too has her share of Swarovski Crystals from the collection, Sundance beads, beads, and plenty of stitches to keep your customers busy. Keep these items in mind for future classes. We’d love to come visit! Yolanda and I have been busy the last several days visiting (through cyberspace of course) with shops where I have taught in the past seeking out ones that are interested in preparing kits for the various classes. We have heard back from several of them and as soon as I have figured out what supplies I will be needing we will be getting closer to knowing more. We are going to have such great materials to work with. Beads! OMG! Did I say BEADS! Get a container because they may be rolling across the floor. If you have a kitty cat you are going to drive it crazy. Not only beads but there will also be crystals. My mind is still in a whirl working through the blouse. There is so much I want to do with it. Still playing with several options on that one and matching that area with the providing shop. Sombrero is gonna be fun and hopefully will work up fairly quickly. My testing thread will be arriving this week and the shop is already picked out to do that one so I'm good to go on it. The black glistening hair tucked neatly under the hat. The colorful braids! Woo! Hoo! The beautiful red satin ribbon! Can you tell I'm getting excited. Oh, did I mention that there would be BEADS? Well, as you may or may not know, this will be a work in progress. That is how I work so the mystery continues . . . . .
Isn’t she lovely? Well, just wait until we get through with her. 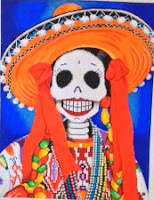 She is so colorful and full of ‘life’ it is hard to realize that she is a member of the Day of the Dead. Come on the mysterious journey of bringing Yolanda to life with fabulous threads, beads, ribbons, embellishments and who knows what techniques – some familiar and some not so familiar. Almost anything goes. We may well be thinking outside the box on this one. All transactions will be handled through PayPal. One week prior to the scheduled mailings, a PayPal invoice will be forwarded to your email address. Class packets will be e-mailed the following week to the current paid accounts. Because of the size of the luscious gal, we will be working on one-month intervals. Most all areas are large enough to require that much time to work comfortably. Of course, there will be some class participants who will finish right away and be ready to move on, but those of you who fit this category are sure to have other projects to occupy your time. 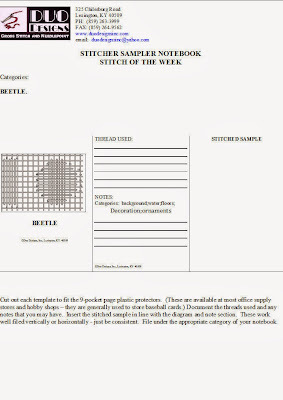 Each month you will receive the threads and materials list together with the stitch guide and instructions needed for the current mystery section. The first mailing will be on February 10, 2014. This will be the canvas only. Now you know what to ask for that Christmas gift. To sign up for the class will require a deposit of $100 if you need me to have a shop order the canvas to be painted . This is a non-refundable deposit that will be due no later than December 30, 2013. A PayPal invoice will be e-mailed to those who have indicated they wish to participate on December 28, 2013 unless requested earlier. The balance for the canvas price and order stretcher bars, s/h, etc, for first mailing will be due on February 3, 2014, and will be handled on an individual basis depending if you need us to handle ordering your canvas or if you are able to do so. I will be contacting you. Now the fun will begin. Here’s an itinerary for you so you can plot your calendar for our future mysterious journey together. 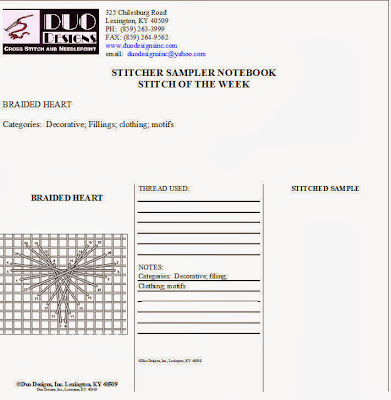 Each packet will be $25 which will include a detailed stitch guide of stitch diagrams, thread selections and stitch discussions for that section of the design. I should stress that, as always, this information is copyrighted and is not for general distribution. 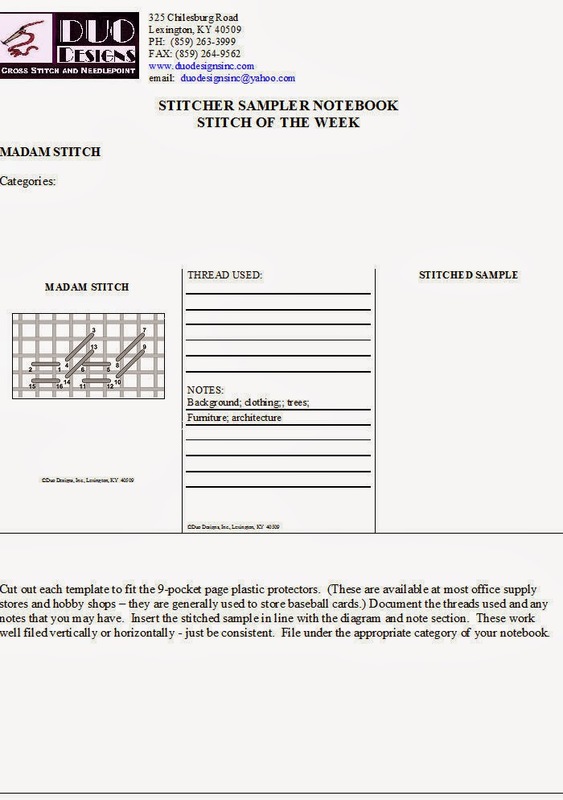 Shops will be able to purchase the stitch guide once it is completed for sale in their shops to the general public. Outside the stitch guide section, additional photographs and further discussion and comments will be shared for those of you participating in the Mystery. Additionally, contact information will be provided for shops that I have talked with prior to the next month’s class that had indicated to me that they have the supplies that are needed for that particular section of the design. This will provide the participants another resource for materials should they not have a local needlepoint shop to support. There will be 6 classes. The first class e-mailing will be March 10. 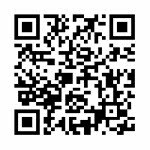 You will receive a PayPal invoice on March 3 for the class packet. The second class e-mailing will be April 10 and the PayPal invoice will be issued on April 3. The third class e-mailing will be May 10 and the PayPal invoice will be issued on May 3. The fourth class e-mailing will be June 10 and the PayPal invoice will be issued on June 3. The fifth class e-mailing will be July 10 and the PayPal invoice will be issued on July 3. The final class e-mailing will be August 10 and the PayPal invoice will be issued on August 3, 2014. This is all in the planning stages and being polished as I go along so some things may change as we get closer to the deadlines. While I can guarantee that the $25 per month class fee will stay the same, I cannot guarantee the canvas, stretcher bars, tacks, etc., prices, etc., as that is several months and even a year ahead, so please bear that in mind. If you have any questions feel free to email as always. I think Wednesday was yesterday wasn't it? Where is time going? I think I might be losing my mind - what is left of it. 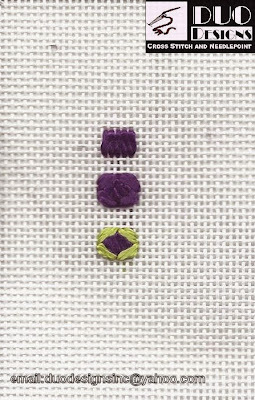 Today I will share with you what I intended to share with you yesterday - the beetle stitch. 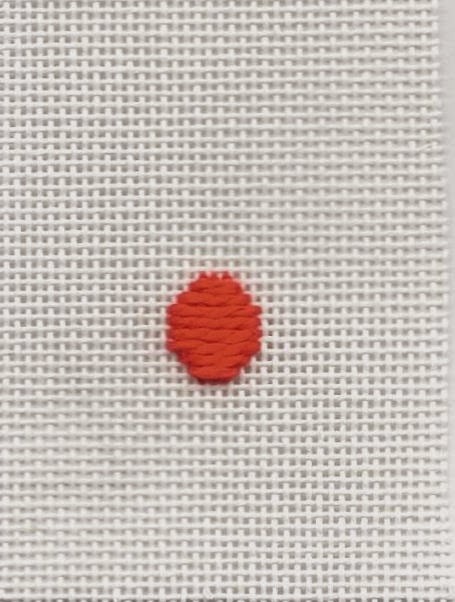 This is a full stitch that can provide a solid background. It can be a filling stitch for clothing. 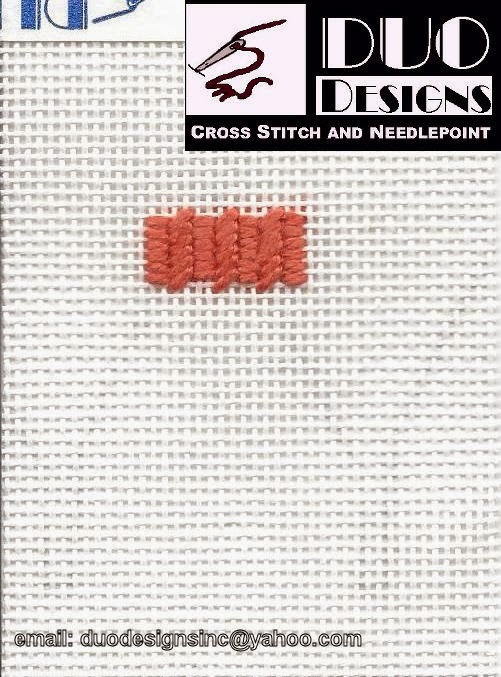 A decorative stitch for that pillow top or drapery pattern. Maybe blooming flowers? Ornaments on trees. Think of various ways you can use it on your project. Yes, it is November! My, my, where has the time gone. I was so startled the other day as I quickly checked into Facebook and someone posted that there were only 8 Fridays until Christmas! Come on people! At that time we still had Halloween and Thanksgiving to celebrate! Anyway, it is definitely fall here in Central Kentucky! And my husband can attest to the fact that the trees are quickly becoming bare. We are having very sporadic weather. One week I can have beautiful fires in the fireplace and the next I can open the door and let fresh air in. Go figure. Since the season is so short, we must, unfortunately, start digging out the holiday decorations. We have our first holiday get together on December 7 and I am teaching in Baltimore at Bedecked and Bedazzled the weekend after Thanksgiving so that doesn't give me much time to get festive. Then there is something every weekend after that until the first of the year. Then you know what happens. Repack everything in between teaching assignments. It is a never ending cycle isn't it? 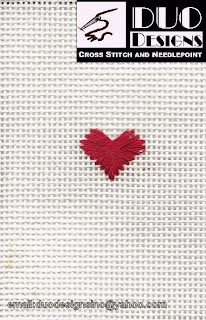 Anyway, for this week I am sharing one of my favorite stitches with you. The braided heart can be a little tricky because you have to count. I know, I can hear the moans out there, but it is worth it. And, if you use a stranded thread, like I did on the sample, you must lay them. But look at it! Isn't it pretty. Take your time and enjoy this stitch. It is a real addition to your Sampler Notebook. Enjoy and be sure to stitch with a smile!